The Port of Eden is a deep water harbour and the southernmost ‘declared Port’ in NSW. The port is located in Twofold Bay approximately 40 kilometres north of the New South Wales and Victorian border and 470 kilometres south of Sydney. It is an active working port which supports a variety of recreational, commercial and port vessel operations. The Port of Eden is in the process of transformation with the Eden Breakwater Wharf extension project. The Tweed River project is a sand transport system that collects sand from the southern side of the Tweed River entrance and pumps it under the river to outlets on the northern side onto southern Queensland beaches. Discharged sand is transported by wave currents to replenish southern Gold Coast beaches. The port of Coffs Harbour, including the breakwaters, is a valuable tourism asset. In 2014, the department completed an upgrade of the eastern breakwater at a cost of around $18 million. The work involved widening the breakwater and placing rock and concrete armour units known as hanbar to reduce the impacts of the large waves in the harbour. Work on the Northern Breakwater Upgrade commenced on 5 April 2016. The upgrade consists of constructing a rock berm (or a level shelf) built up from the seabed to sea level, designed to take the energy out of the waves. The work involves widening and raising the edge of the breakwater. This will reduce the frequency of waves overtopping and potential damage to property and infrastructure. The breakwater upgrade is expected to be completed by the end of May 2018. 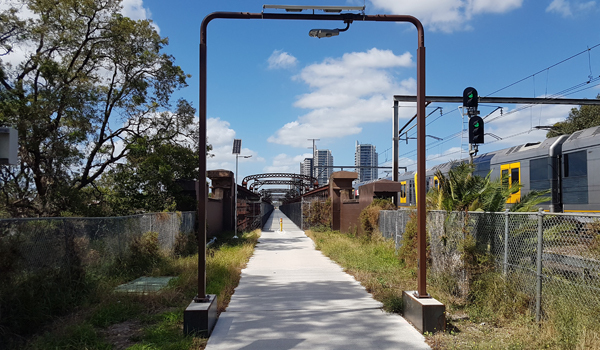 The department commenced a master planning process in April 2015 with funding from Transport for NSW, which is nearing completion thanks to the support and input of many local community groups and individuals. The master plan will outline options for improving boating and visitor safety, access and infrastructure in the harbour and for revitalising Crown land along the foreshore. The master plan, when finalised, will be a strategic and “living” document that will be reviewed periodically to ensure it continues to serve the needs of the local community and visitors. To protect South Entrance Beach and help keep it open during the busy tourist season, the NSW Government allocated $2 million for the construction of a 100 metre long rock groyne at the northern end of the beach. Work on the rock groyne commence in October 2017 and was completed in early 2018. The project costs around $1 million. The project also includes provision to dredge up to 15,000 cubic metres of sand from the entrance channel to Tuggerah Lakes and place it on the South Entrance Beach. Work will commence in April 2018. Find out more about the dredging component of the Entrance channel. Bethungra Dam was constructed in the late 19th century to supply water for the townships of Bethungra and Junee as well as steam railway operations. 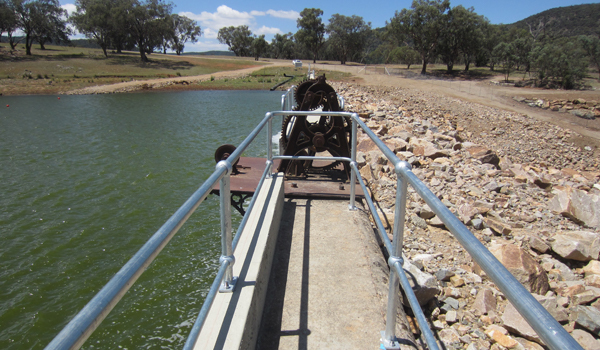 The dam now provides essential boating and recreational camping facilities for the South West region, as well as a source of water for bushfire safety. The dam has been the subject of many safety audits and studies and was deemed a high risk based on the existing design, flood probability and consequence category. In 2015, design work was completed which looked at strengthening the existing structure to meet current standards. In 2016, a business case was prepared and $3.9 million in capital works funding was secured to upgrade the structure to meet current design requirements. The project was completed on time and under budget on 22 December 2017. Meadowbank rail bridge was built in 1886 and used for heavy rail crossing the Parramatta River. NSW Roads and Maritime Services decommissioned the rail bridge in 1980. The bridge is now used as a shared cycle and walkway between Rhodes and Meadowbank, as well as providing a structure to support a vital 132kV power main. The bridge is listed on the State Heritage Register but was in poor condition and required urgent repairs. The department worked with successful tenderer to come up with innovative ideas to work around rail corridor constraints, such as limited excavation. The result was a modified approach lighting design which incorporates raised concrete plinths, which act as a bench and USB charging station. Solar lighting on the bridge has been installed to address public safety concerns and works to repair the bridge structure are schedule for completion by late 2018. To ensure our coastline is managed and developed appropriately, local councils develop coastal zone management plans (CZMP) and coastal management programs (CMP). The department reviews these plans to make sure Crown land is sustainable and protected for future use. Crown Lands has responsibility for a portfolio of maritime assets at around 40 locations along the NSW coast. This includes 25 coastal harbours, 21 ocean entrances, 38 estuary training walls, 14 lighthouses and eight rock quarries and many waterway access channels. A lot of these maritime assets need repairs or upgrades due to harsh nature of the marine environment. This work is delivered through the Coastal Infrastructure Program. Crown lands is currently delivering the NSW Government's $45 million Coastal Infrastructure Program (2015-2019), which helps rebuild and repair key maritime assets to prolong service life and avoid critical failure. The NSW Government is committed to taking a strategic and proactive approach to dredging. Coastal waterways are dynamic sedimentary systems and periodic maintenance dredging is required to help improve boating access and safety in our waterways and river entrances. Crown lands has been given the responsibility to manage the dredging strategy for the state through the NSW Coastal Dredging Strategy. Swansea Channel is the marine gateway to Lake Macquarie. Lake Macquarie is an outstanding recreational waterway used by local and regional boating enthusiasts. Recreational boating is a popular activity on Lake Macquarie, attracting local residents and people from the broader Hunter, Central Coast and Sydney regions. Currently over 18,000 boats use Lake Macquarie and this number is expected to increase to over 25,000 by the year 2020. Maintaining reliable boating access to the Lake is considered desirable for social and economic reasons. The NSW Government commitment towards dredging of Swansea Channel to achieve reliable navigability also requires ongoing support from local government and key stakeholders. Large-scale dredging of the Swansea Channel was completed in February 2015, with up to 80,000 cubic metres of sand dredged from the channel and placed on Blacksmiths Beach. The dredging was successful, providing clear navigable depth and width for safe navigation. Swansea Channel is highly dynamic and subject to constant sand infilling. Hence it is highly likely that ongoing maintenance dredging will be required to provide safe navigation for boaters. There is no legislative responsibility for dredging. The State government is providing emergency assistance to restore safe navigational access where boating safety issues are identified in key waterways, such as Swansea Channel. To improve accessibility to the state's waterways, the NSW Government has developed the Rescuing our Waterways Program. The program grants funding to councils on a dollar to dollar basis to help deliver better access to local waterways for recreational and commercial waterway users and safer boating. This creates flow-on benefits for tourism and local economies. Coastal councils can apply and are required to make a financial contribution of at least 50% of project costs and be responsible for developing and managing their projects. Projects that promote economic growth and productivity, and enable navigational benefits. Pre-dredge activities for projects which are eligible and likely to proceed to dredging for vessel navigation. The program will run over four years (2017/18 – 2020/21) with up to $6 million available. Funding of up to $1.5 million is available for projects on an annual basis with financing of up to 50% of a project’s costs usually offered for successful grant applicants. Applications forms for 2019/20 dredging related projects and information is expected to be available in April 2019. For more information download the fact sheet. The department conducts biannual surveys of river entrances in order to assess shoaling and water depths within navigation channels. These regular surveys inform waterway users of river entrance conditions as well as to inform government on the need to consider dredging. Crown Lands undertakes regular bed level surveys of the Richmond River entrance to assess water depths against design navigation criteria of at least 4 metres at low tide established with local commercial vessel operators. These surveys indicate that the water depth requirements of local waterway users have generally been maintained from 2012. Manly Hydraulics Laboratory was commissioned in January 2016 to complete a feasibility study for a southern breakwater on the Manning River in northern NSW. This report presents the findings of the study and provides recommendations to the department to aid in decision-making regarding the construction of a southern breakwater along the Harrington entrance to the Manning River. The two year study on a Manning River breakwater involved a review of previous studies/literature and available data, a review of the feasibility of construction of a southern breakwater with respect to key stakeholder issues, government business case investment criteria and NSW government priorities. The majority of the findings in this report are based on earlier work presented in the May 2016 draft preceding this report.